Introducing my Love Worn Quilt!!! Meet my newest quilt called Love Worn! 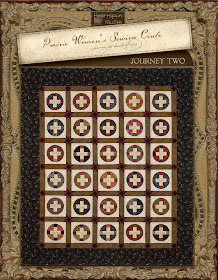 Love Worn is a quilt I designed showing my twist on a very classic type of traditional quilt that uses a beautiful variety of light shirtings and classic dark prints without being framed with a dark focal border. 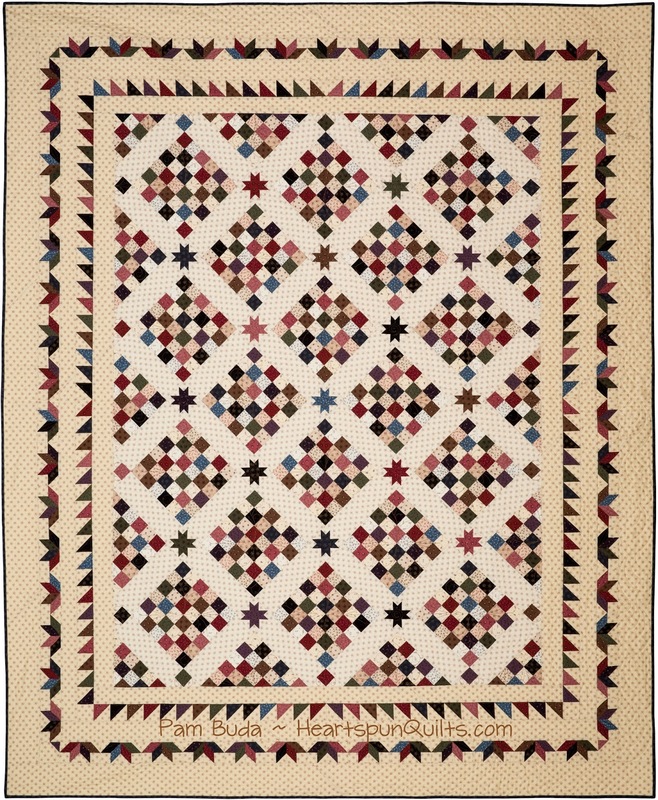 There are tons of antique quilt examples just like this that were made without focal borders, and are among the most treasured, used, and Love Worn quilts around. 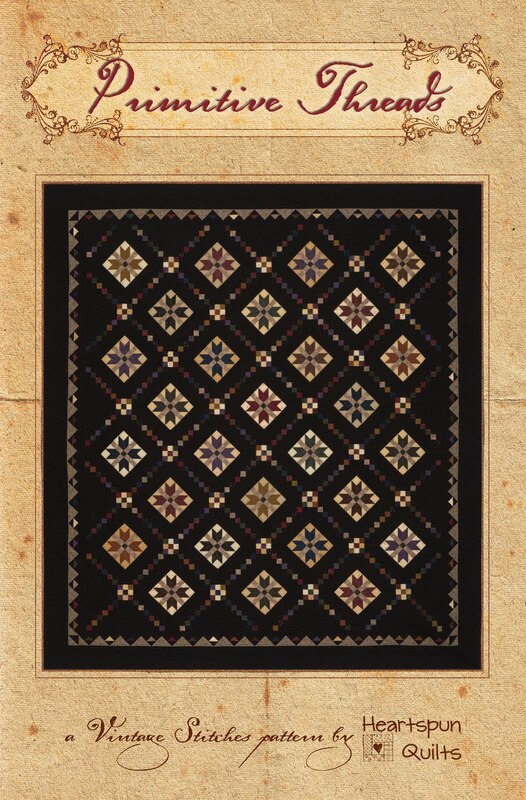 I designed a collection of fabrics that would accurately represent the types of fabrics I've typically seen in these old quilts, and Love Worn was made using those fabrics. All are from my Antique Cotton fabric collection for Marcus Fabrics. Simple patchwork blocks fill the center of the quilt accented with Sawtooth Stars that sparkle within the sashing. 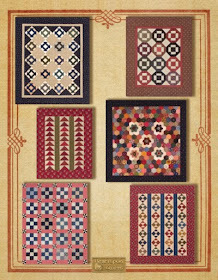 Striking pieced borders bring a WOW factor to the traditional center. Don't be put off by the pieced borders!! 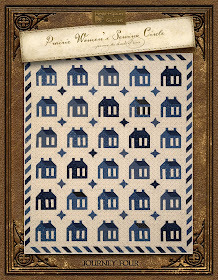 If you can sew Half Square Triangles and Connector Corners, you will have no problem piecing the borders, and my directions and graphics will break it all down every step of the way! The quilt size is 78" x 93". 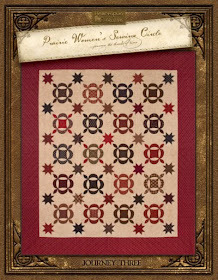 PRE-ORDER A LOVE WORN QUILT KIT!! Pre-order your kit no later than Monday, September 14th and receive the Love Worn pattern FREE, and pay only $5 in shipping within the US!!! Kits will ship late September or early October. 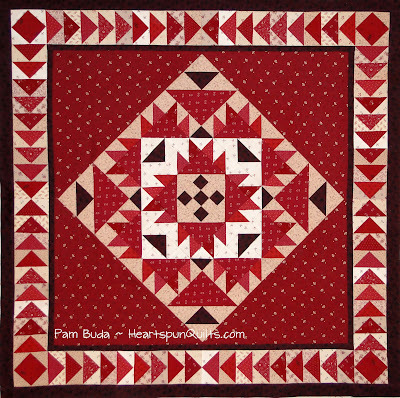 If you live outside of the US, email me at Pam@HeartspunQuilts.com to order and get $5 credit toward shipping to your home. 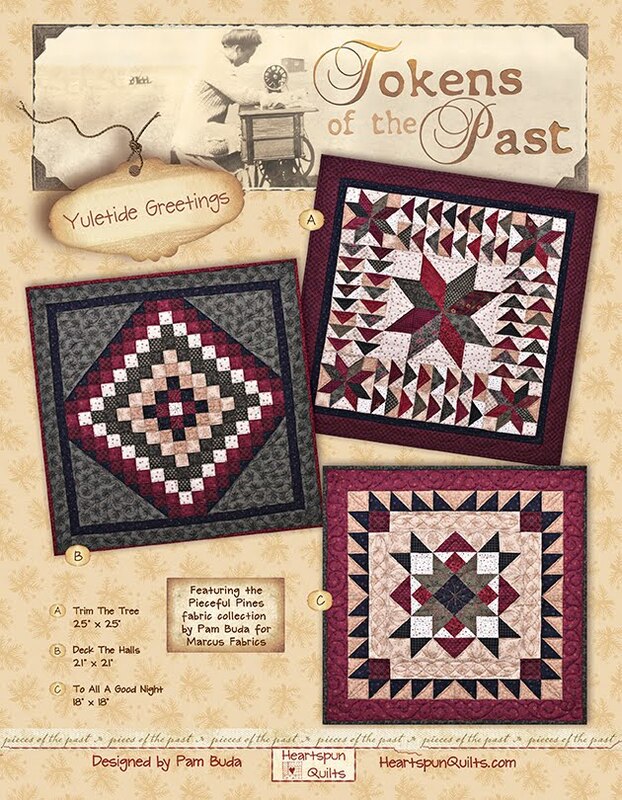 Click here to pre-order the quilt kit!! 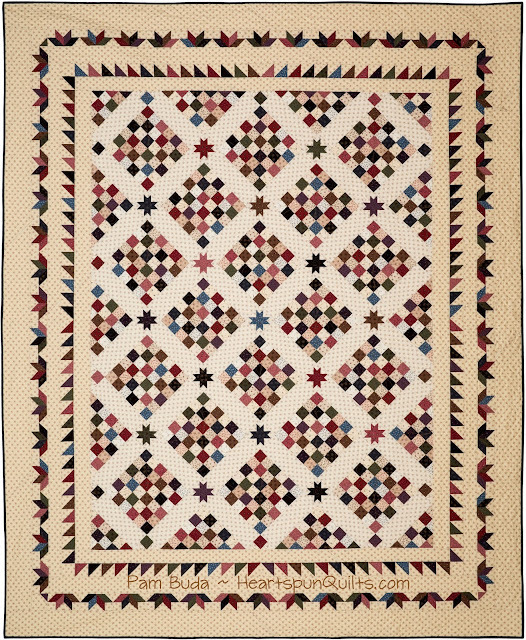 Click here to order the Love Worn quilt pattern. Fat Quarter and Fat Eighth bundles of Antique Cotton coming soon!!! My thanks to all of you for your kindness and encouragement. It sure keeps me going!! 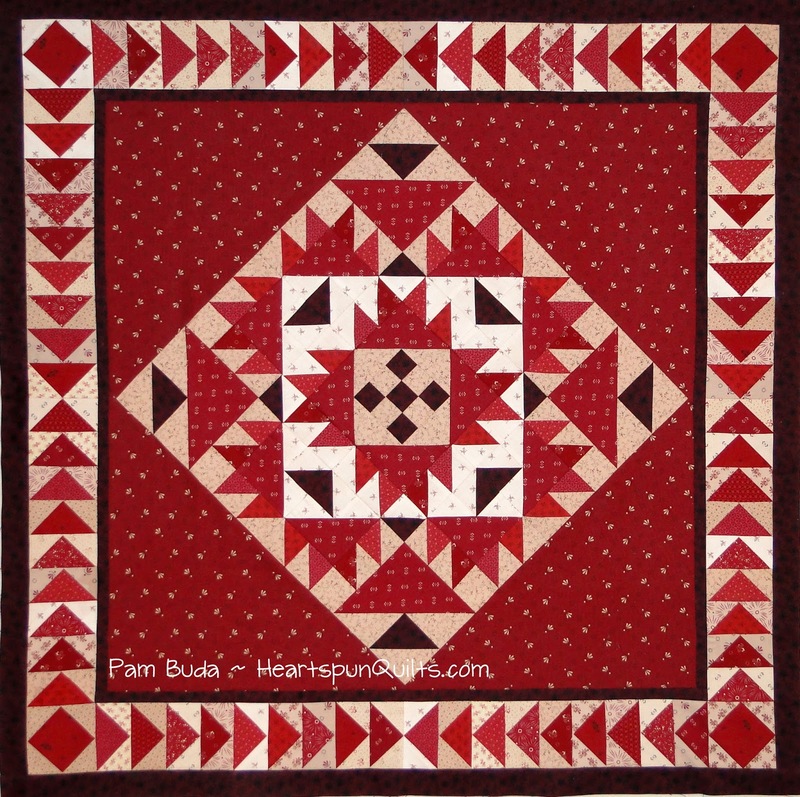 How did you fair with piecing your Flying Geese borders? I'm hoping you have been measuring each step of the way, and that your Flying Geese borders fit snugly and perfectly. 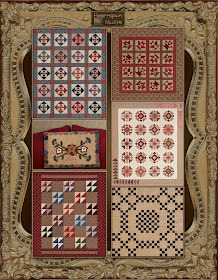 I'm sure hoping the pieced border hints I gave not only helped you with this border, but will help with all pieced borders to come....in this quilt and many more! Here's what your quilt top should look like. It's really a nice table topper at this point, but we're piecing onward! We're about to add another border! So exciting!!! The Checkerboard border is what's coming next. After piecing the remaining red/red print Two-Patch units, we will begin to sew them into pairs or Four-Patches. Be sure each Four-Patch measures 2.5 x 2.5 inches unfinished. If not, unsew and do-over. Those seams aren't that big, so it won't take long, and you'll be so glad you did. Then proceed in sewing two Four-Patch units together. They should measure 2.5 x 4.5 inches. If not, you know exactly what seam to look at. Continue adding Four-Patch units, always checking the measurements as you sew along. This isolates any problem seams so if there is a measurement discrepancy, you know exactly what seam to correct. 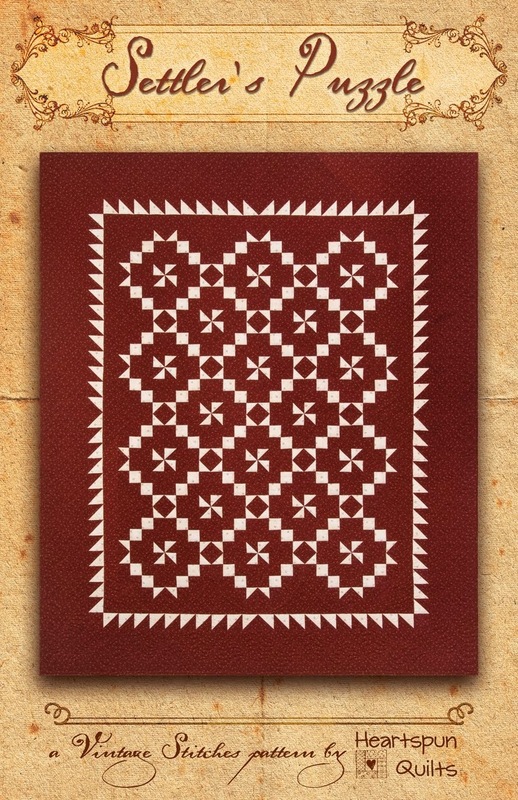 Follow your pattern directions, adding a single Two-Patch at the end to complete your border to the correct size. Then you can sew your Checkerboard borders to the quilt center. Now that feels like real progress!! Your next task this month is to add triangles to your Four-Patch units. To make this a little easier, I suggest carefully folding your triangle in half and finger-press a crease marking the half way point. With right sides together, match the crease with the center seam of the Four-Patch. That way, your triangle is sure to be centered. They should all measure 3.5 inches. Lastly, you'll be making a few Odds & Ends units for upcoming blocks. What can I say...easy, breezy. Just another type of Four-Patch. Be sure this unit measure 2.5 inches. One of the things I check for is to make sure there isn't a shortage in a corner. Ya know, one of those corners in the unit just doesn't quite make it to the edge. Hhmmm. Why does that happen? Well, you may not have matched the raw edges squarely and evenly. Perhaps your seam was a little too big when you began. No matter, if the unit isn't quite square and perfect..do take a few moments to unsew and make it right. Geez....all this talk about sewing makes me want to sew something. I think I can search my sewing room and find something to work on! 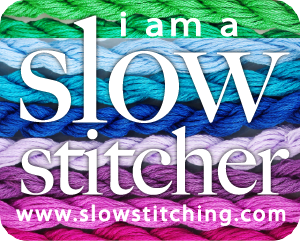 Enjoy the journey.....take your time, and slow stitch your patchwork. More fun next month! I mean WOW, WOW, WOW!! I never, ever expected to get so many comments from all of you! I LOVED IT!! You blew me away, and I enjoyed reading each and every comment. 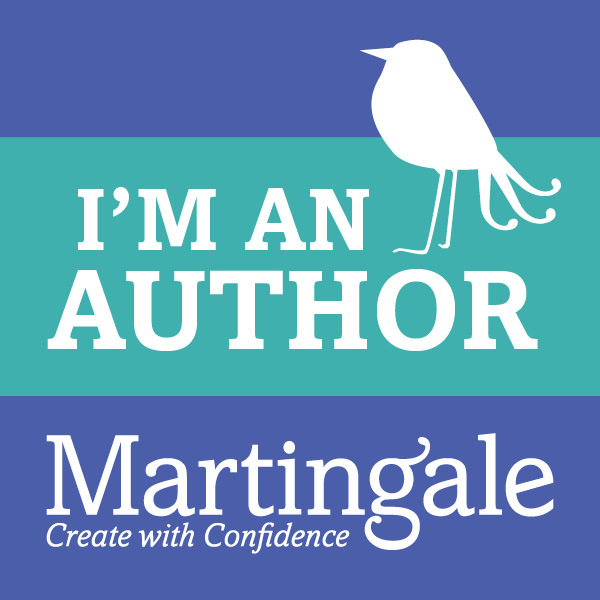 I must confess that it's a little intimidating for me to write this blog post this morning as I'm having a kind of stage-fright here. Normally, I don't think too much about how many people will be reading my posts, but this morning, I can't stop thinking about it. 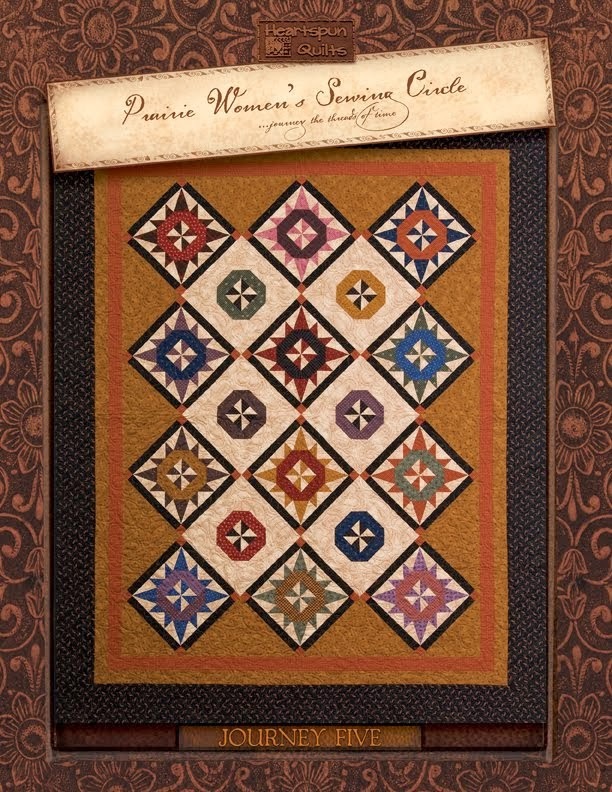 If you haven't had a chance to peruse the almost 700 comments, let me tell you that quilters from near all 50 states and countries around the globe chimed in. For a person like me who loves to travel, it was fascinating and so fun. Many places I have been, and so many more I'd love to visit someday. My heartfelt thanks to all of you who took the time from your busy day to post your comment, and tell me a little about the places you call home. I truly enjoyed hearing from you all....so much that I honestly wish I had a bag of scraps to send to everyone. I have a lot of scraps, but not that many!! Let's get right to our winners. I have ten bags of scraps, and so I have chosen ten winners. 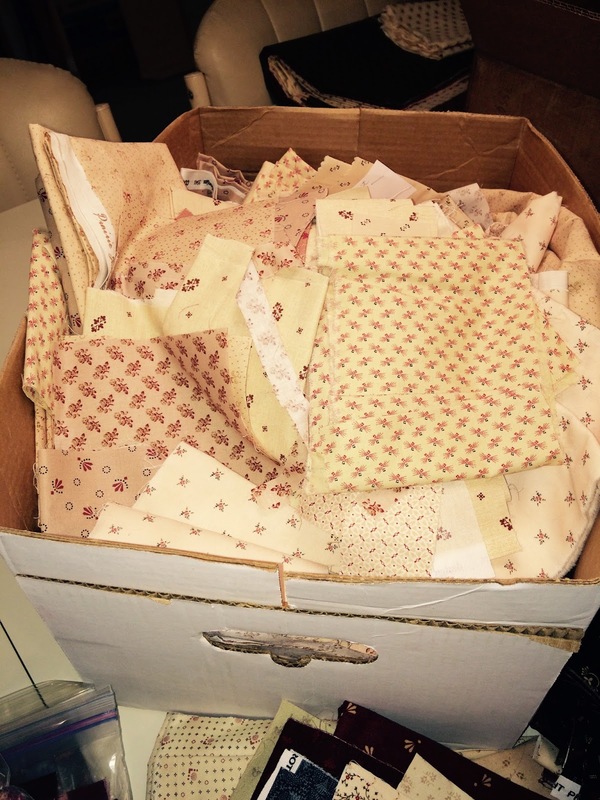 Sue K… Too many scraps? Never! Sue from beautiful northern Iowa, Sheffield to be exact! Karen who said….Those look like some pretty yummy scraps! I live in Breezy Point, Minnesota. Grann616 who said…Oh, I would be in heaven with your scraps. I do have some of your fabric so more is better! Love your work and live in Ohio. Linda who said….Love scraps! Thanks for your generosity! I reside in Mandeville Louisiana. Jubama who said….thank for this giveaway ! I live in Burgondy from France ! Winners, please email your mailing address to me at Pam@HeartspunQuilts.com, and I will get your package on its way to you!! I still have a couple more large boxes full of scraps to go through, and will have more give-aways in the near future, so stay tuned! As you might have guessed, I make a few quilts in a year's time. 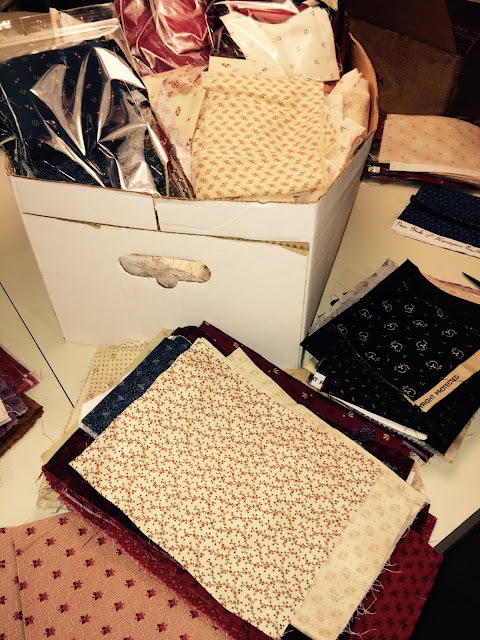 That, along with cutting up a few kits, and making Fat bundles, I acquire more than a few scraps of fabric. And, while I L*O*V*E scrap quilts, having this many scraps is a little ridiculous...even for me! So....I thought they should go to a good home....LIKE YOURS!!!! I have packaged up a bunch of zip bags full of assorted scraps to give-away. They're all my fabrics in different colors, prints, and sizes of scraps, and all looking for a new owner. There will be multiple winners, and I'd enjoy sending them to you. Just leave me a comment simply stating where you live! City and state, and your country if you live outside of the U.S. I'll pick winners on Friday. This will be so fun to see where you all call home!! 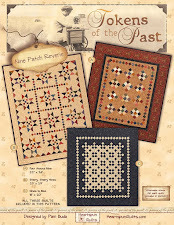 Used with permission of American Patchwork & Quilting magazine. Copyright 2015 Meredith Corp, all rights reserved. Have you picked up the latest copy of American Patchwork & Quilting magazine?? As always, there's lots and lots of great projects in there, and there just happens to be one that I'm particularly fond of! I spotted this gorgeous antique at a show not so long ago knowing it just had to go home with me! 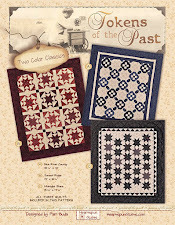 I'm not an authority at dating fabrics, but it sure looks to be nineteenth century to me. Amazing how vibrant those fabrics still are! All hand pieced and hand quilted (sure, a treadle machine could have done the work back then!) it's a found treasure to be sure. What really called to me is the unique block setting. Isn't it grand?!! And...there are make-dos in there, too. What's not to love? If you're thinking...'that's way too hard for me to make', think again. 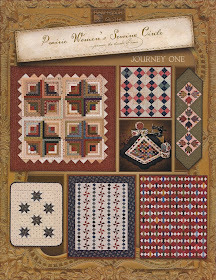 The pattern steps are nicely explained and laid out for you in the pattern, all included in your copy of the magazine. And....editor Jody Sanders cleverly shows you an alternate way she devised to make the blocks. Way too fun, and I'm definitely gonna try for myself. So, if your copy didn't land in your mailbox, head on out to the newsstand now. You'll enjoy every page!! On Saturday, I'm packing my car and headed out to visit the Lincoln, Nebraska Quilters Guild!! I am so, so jazzed about this. I will be giving a lecture and visiting with everyone on Monday evening, August 10th, at 7pm at the College View Seventh Day Adventist church, located at 4801 Prescott Ave., in Lincoln. I'd love to meet you! (The workshop the next day is completely full.) 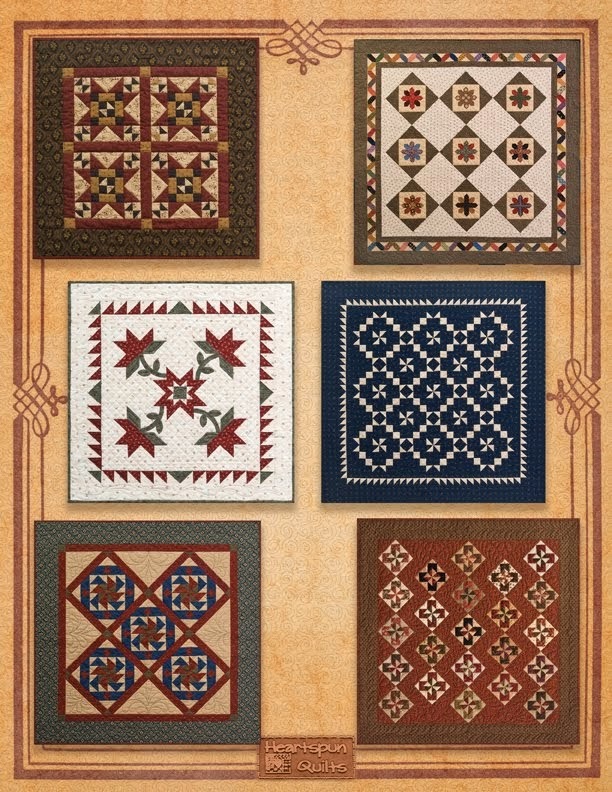 I'm also getting a chance to tour the International Quilt Study Museum, and will try to take what pictures are allowed, and report back some info for you, in case a trip there is in your future. Now....go pay some attention to your sewing machine. She misses you! 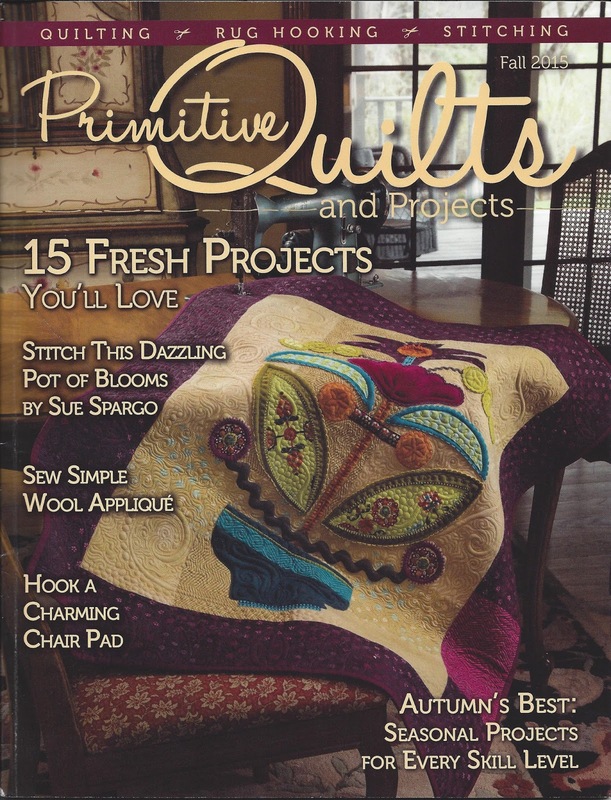 My thanks to everyone who shared a comment for a chance to win a copy of Primitive Quilts, Fall issue! 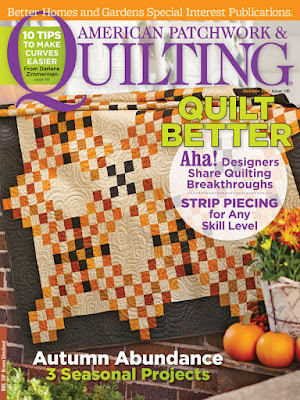 We are a busy bunch of quilters, that's for sure! I don't think we'll ever have the problem of being bored, right? You all shared your plans for the coming season, and the many projects on your to-do list, assuring us all that we're not alone in that regard. How time flies! I need to get started on a Christmas wool project for my sis! 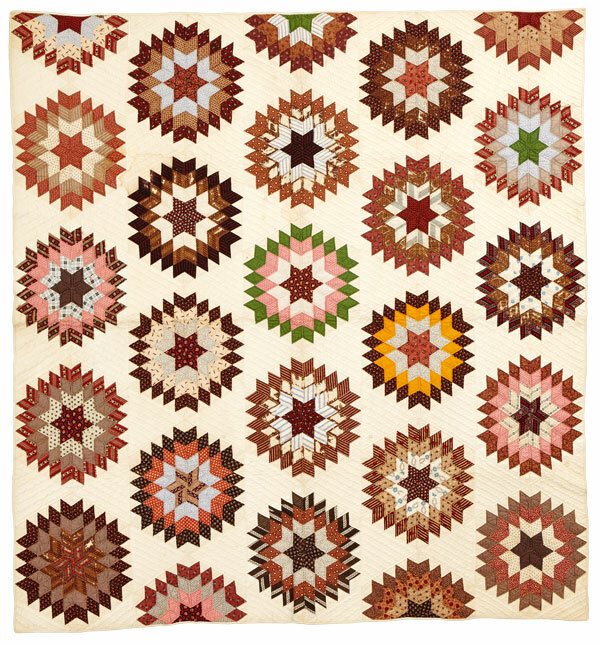 Also, would like to finish a quilt I started - has pumpkins and gourds - love it because fall/winter are my favorite seasons! Thanks for doing a give away. I haven't been sewing much this summer but I am going to be a new grandmother in November so I will definitely be sewing a quilt for my grandson. I love your quilt! And what perfect fabric for it. As summer is heading into its final month, I'm quilting like crazy, trying to work through a rather large pile of tops. I may save the binding for cooler weather. 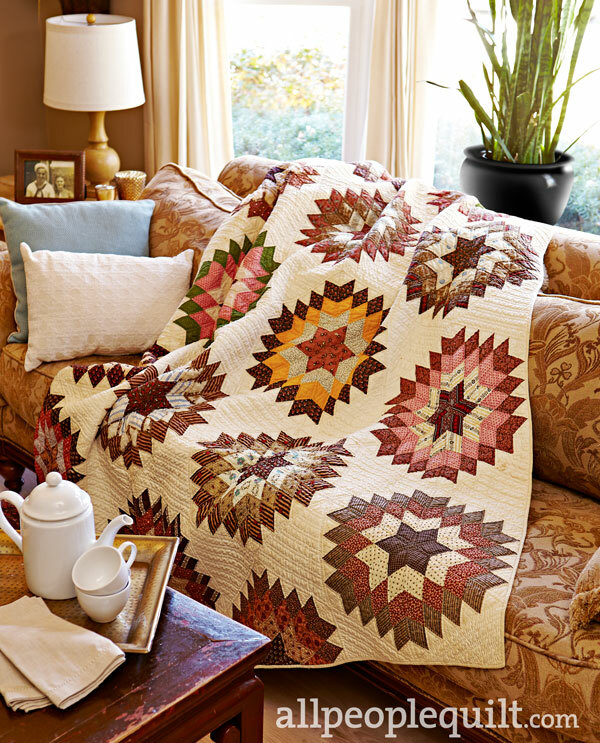 What better way to cozy up than with a quilt in your lap! thanks for a chance to win. Congratulations! Thank you so, so much for your comments. 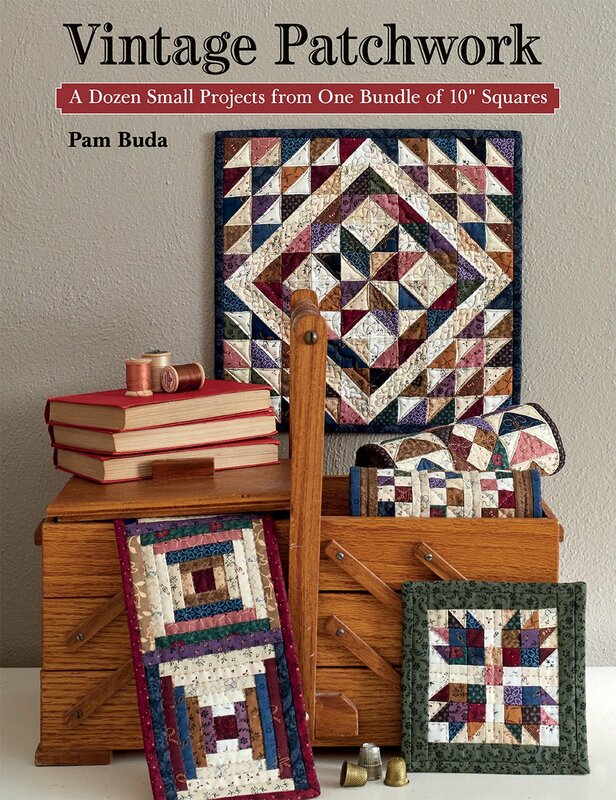 Please email your snail mail address to me at Pam@HeartspunQuilts.com, and I'll have those copies mailed to you mucho pronto! 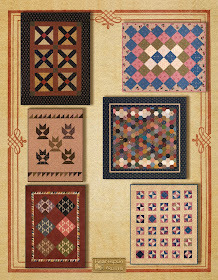 In every issue, Primitive Quilts asks a unique question of all of the project designers on a wide variety of subjects. 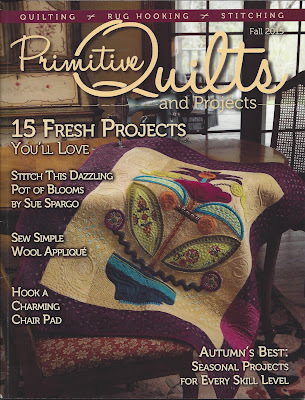 In this issue, they asked us to share "Who in your family or circle of friends supports your stitching and design endeavors?" 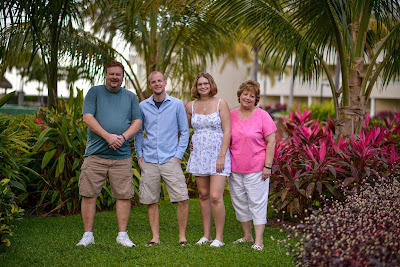 It goes without saying that my family: hubby, Ryan and Nicki, support me wholeheartedly and have from day one. 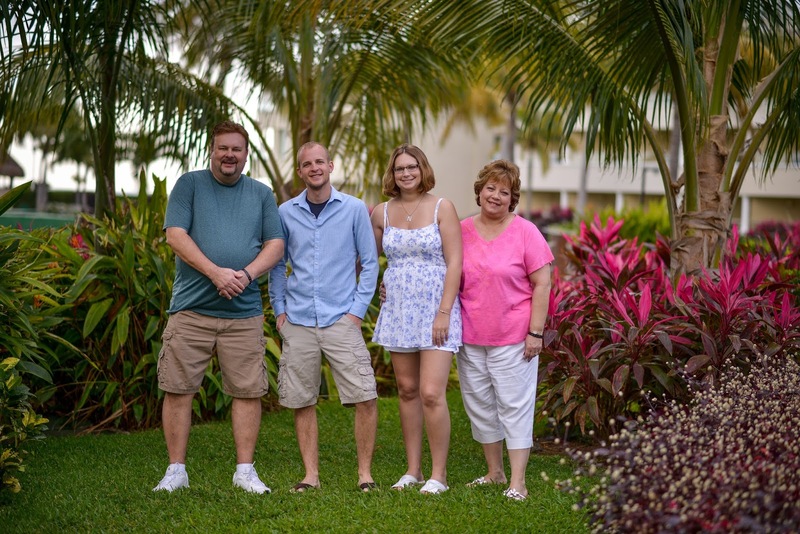 They have all cheered my success, encouraged me, stuffed patterns, packed boxes and loaded the car, and cooked and changed laundry when I was under a deadline crunch. That's just what families do, and I am very blessed. And since my family have careers of their own, of course, I still need help with many of the day to day tasks, and these two dear friends help me immeasurably. Answering the magazine's query in the Designer Notes column was my chance to thank my dear friends who work with me behind-the-scenes. Ronda, pictured on the left, quilts 95% of my quilts and does just a phenomenal job. Her talents truly bring my quilts to life in stitches she sews into my quilt tops! She has a terrific eye for detail, and the quality of her work is just outstanding. I never, ever fret about how my quilts will turn out, and am so happy to show off her work whenever possible. Debbie, pictured on the right, works just about every day with me. There is almost nothing that she can't do! She cuts fabrics, makes kits and bundles, stuffs patterns, fills orders, does bookkeeping, and the list goes on and on. She pieces some of the new quilts, and does so with perfection and skill. I was so happy when Primitive Quilts posed this question as it was a perfect opportunity to give credit to the many people who help me be all that I can be. I am so very blessed with a wonderful, supportive family, and the greatest friends, and honestly, I don't know what I'd do without them. And, allow me this opportunity to thank all of you as well, for your support, your kind comments, and your purchases, too. They all allow me to keep doing what I love. I am truly grateful!